Very decorative pair of cast resin faux red coral on integral black oval bases. Great scale at 20 inches high by 10 wide, these really make a statement, mid-20th century. 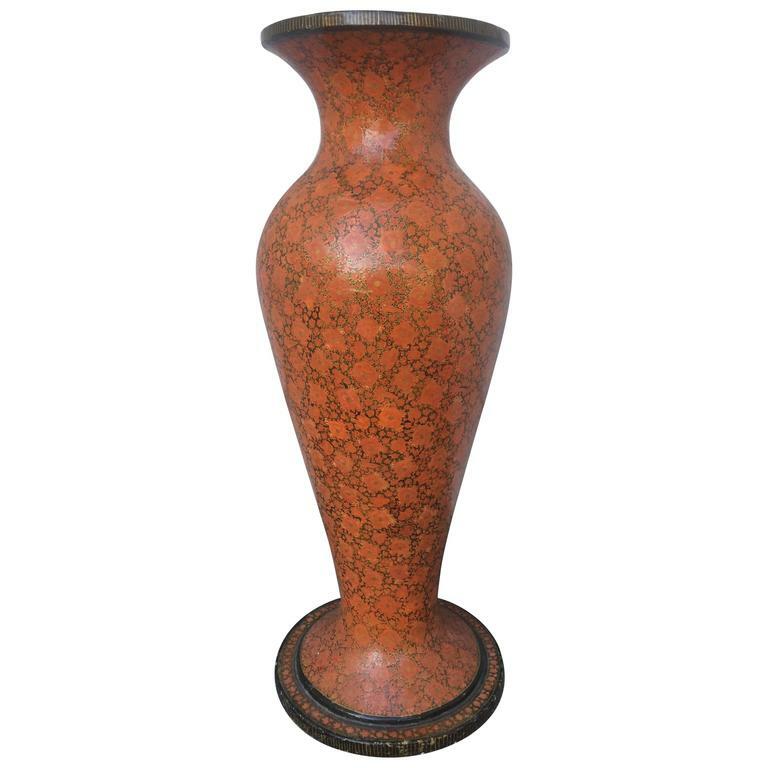 Chinese bronze urn with chocolate brown patina, handsome form with flaring base and top supporting a bulbous center. The classic profile of this piece will make a stunning vase. 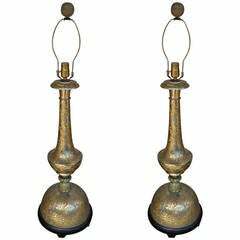 Pair of etched and silvered brass table lamps from India made in the Persian style. Large-scale and beautifully proportioned with delicate integrated decoration. Unique Chinese black lacquered antique vase with detailed ornamental handmade decoration in 24-carat gold by specialized craftsmen. This Burmese red lacquer offering urn has different compartments for storage. Made from bamboo and lacquer, circa 1950. Interesting rhinoceros head made of papier mâché. Great blue tones. Nice scale. Excellent vintage condition. 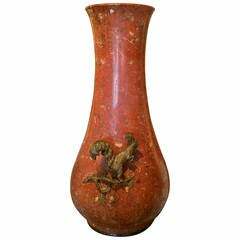 Late 19th-early 20th century Chinese papier-mâché vase on stand.